Health authorities say the services offered through private health care have improved in recent years and that most people now have access to better quality services. Local authorities must do more to alleviate poverty by teaching people about ways to earn a living, run a small business and invest their money so they have a better quality of life. Russia is delivering T-90S and T-72B1 tanks to Vietnam and Laos respectively, fulfilling recent contracts placed by the Southeast Asian countries. The Vietnamese Ministry of Foreign Affairs will continue close co-ordination with its Lao counterpart to tighten Việt Nam-Laos relations for the benefits of their people, Deputy Prime Minister and Foreign Minister Phạm Bình Minh has said. The financial assistance ADB – the Asian Development Bank has provided to the Lao PDR since 2002 to promote its tourism sector has reached US$107.9 million. 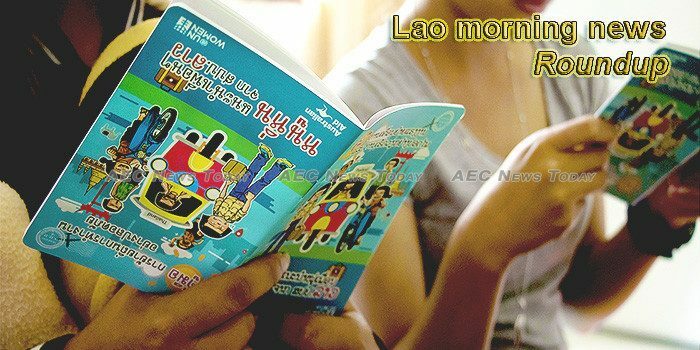 The Ministry of Education and Sports is actively planning for next year’s stage of the Skills for Tourism Project, cofinanced by the Lao government, the Grand Duchy of Luxembourg and Switzerland. The Southeast Asia Tower Company, invested by the Chinese state-owned China Tower, together with the Lao government and local firm Click Lao Marketing and Consultancy, has been officially launched in Laos and put into operation.